I have to carry a lot of things from my car to lobby but no hotel staff offer any help and I have to carry all of it to the room by myself. Bed and room are very clean but the disappointing thing is that there is no power socket to charge the electronic devices near to the bed! Variety choice of breakfast are excellent! I booked this hotel because I had stayed there before and I was impressed. However, this time when I checked in, I was asked to pay a higher rate than what I booked it for on Agoda. The staff blamed the change in exchange rate yet The Australian dollar actually improved since I booked it and I doubt there was a currency fluctuation of 30%. My requests for staff to call Agoda we’re ignored and pretty much I don’t don’t feel welcome for the rest of my stay. Recently there has beenquite a few Chinese groups staying at the hotel. They are noisy, congregate in the lobby in numbers. They seem to have a habit of cramming into the lifts talking loudly and happily ride in one going down although they intend to go up, instead of waiting for another lift. Having said that, the bed is comfortable, the breakfast is good and the location good. However, I won’t go out of my way to stay here again as overall the standard has really slipped. There are cheaper hotels that offer better service. 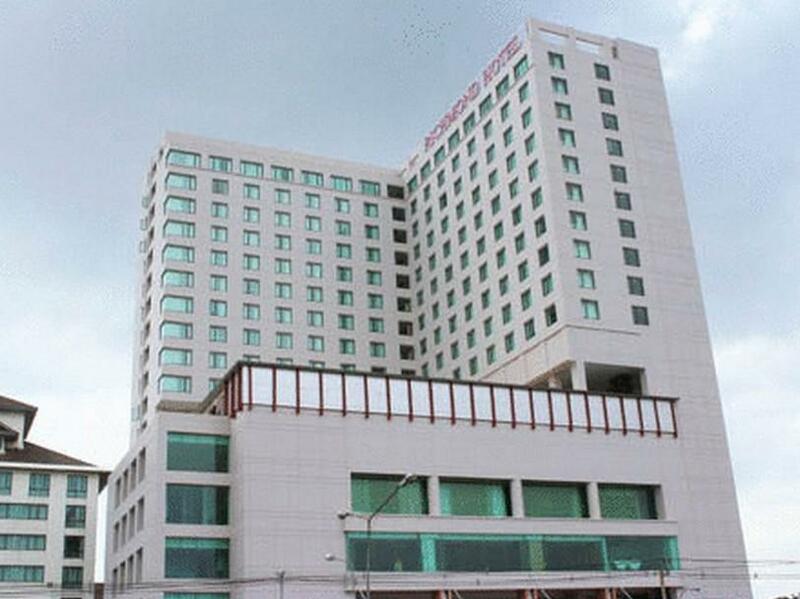 This hotel stands out because of its proximity (walking distance) from the Purple Line Bang Krasor MRT station. This makes transportation throughout Bangkok very easy. The price is higher (3 star rating) here than comparable properties in the area which I think is because it is on the main thoroughfare (Rattanathibet) and near the MRT station. Even if you are visiting somewhere far in Bangkok relative to this hotel location, being so near to an EASILY accessed MRT station obviates any need for using a Taxi unless you just need to get where you are going faster off the beaten path. For tourists or business people who are leery of unscrupulous taxi drivers, this is your hotel. The main areas as well as the hallways and the rooms themselves are very clean and well maintained. The staff goes over out of their way to make sure you are happy from the front desk to the cleaning staff. Facilities are clean but had to kill cockroach that ran across desk on the 10th floor; therefore, 3 star. Kind of a group tour hotel, The breakfast need to be improve on the qualities. Comfortable room, clean and tidy, great choice for a buffet breakfast. MRT very close by if you need to go into bkk.